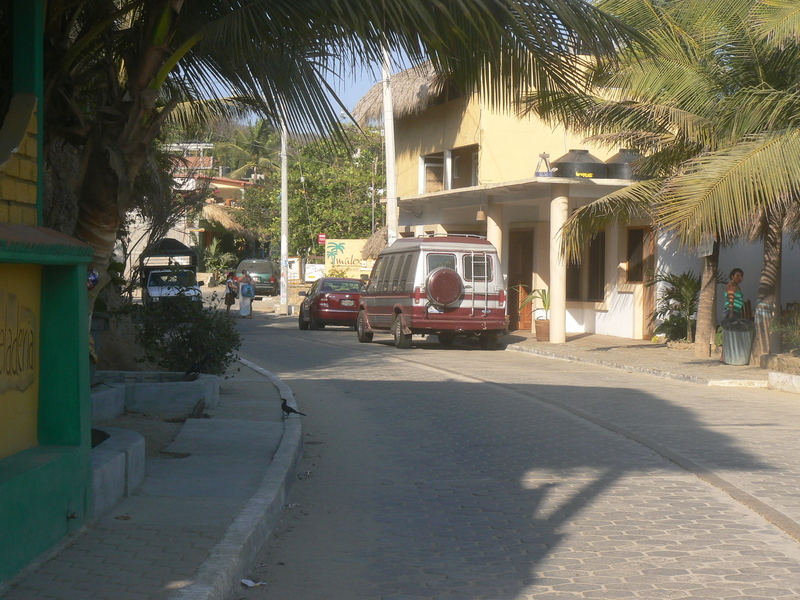 The village of San Agustinillo is a quaint seaside pueblo with just enough amenities to provide the perfect vacation. The first time we rolled down the main and only road into San Agustinillo in our dusty red jeep we had only stopped to buy some ice to keep the cooler filled with beer, cold. We bought our bag of hielo and wandered across the street, down through a few tents and scrawny dogs stretching on the beach. It was a sleepy town but the beach wasn’t. The deep blue ocean rolled in powerful waves breaking in the way a surfer dreams, The long beach slowly curved in a thick wide swath of golden with the green jungle palms bordering one side like the matte in a frame. It was reminiscent of the Oregon Coast-those landmark size rock outcrops turning from black to white as the waves crested and broke over them. Only warmer. We didn’t know then that this spot would hold our heart in a way that nowhere else did. We certainly tried to forget it-wandering through many other lands and languages-but return we would. 12 years later looking down that same main road -things have changed a bit. The village has fulltime electricity now- and internet –a great couple of new restaurants- and last week the washing got a whole lot easier. One of our neighbours started a new business with three brand new washing machines- so we have our first official lavandaria. I invite you to look through this blog and discover the truely special village of San Agustinillo-explore our vacation rental completed in December of 2011- and plan for your visit sometime soon. Every time I leave I wish my stay had been just that bit longer. That’s the sign of a very special spot.